Wellness in Heidelberg: The Panorama Spa at the Europaeischer Hof is the best place to gain some distance from everyday life and to refuel with new energy. It is a place of relaxation and wellbeing for hotel guests and external visitors. High above the rooftops of the city, you will experience true relaxation. 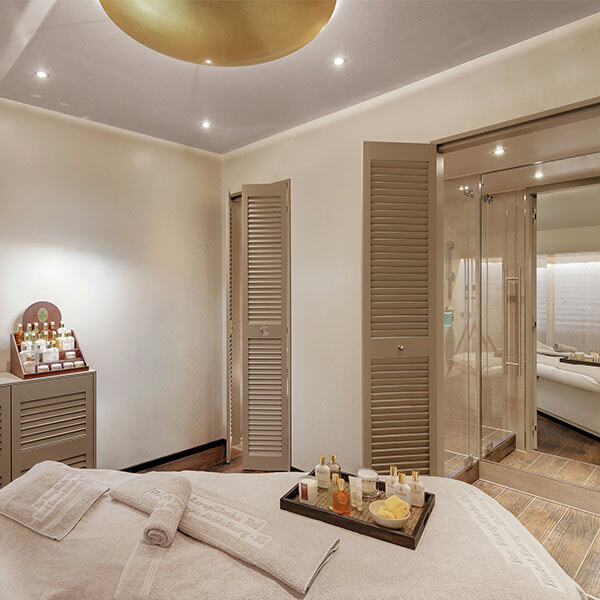 Enjoy your private wellness retreat with us in Heidelberg and let our team spoil you with massages and cosmetic treatments. A spa treatment can make a huge difference. After a tiring day at work, it can help you to relax or to recharge your batteries. 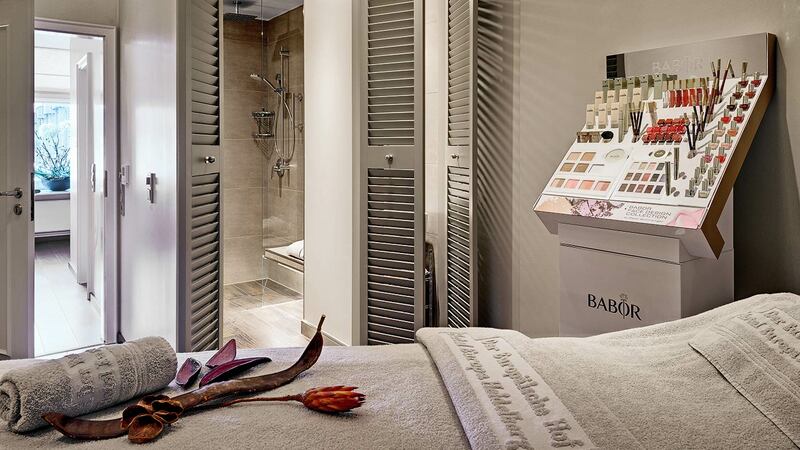 Treat yourself to a well-deserved moment of relaxation and tranquillity. At our spa in Heidelberg, we offer you various spa treatments which slow the world down for a moment. You will feel as if you’ve been born again! Beauty is the absolute harmony of sensuality and mentality. Ligne St Barth is famous as an expert in beauty and wellbeing. All of the products captivate us with the harmony of natural ingredients and the soft, exotic scents of the Caribbean. Every day, our skin is exposed to many different environmental impacts and longs for a soothing remedy. Ligne St Barth is the first choice for extraordinary spa treatments. The professional luxury skin care line by Babor combines nature with science. Babor offers you the most innovative ingredients and methods, which are perfectly coordinated and have an extraordinary effect. Every treatment is a particularly luxurious experience. Due to high demand, we kindly ask you to make an appointment in advance to ensure that you can enjoy your treatment at the requested time. Relax Foot Massage 40 min. Foot Reflexology Massage 50 min. Deep Tissue Back Massage 30 min. Deep Tissue Back Massage 60 min. Full Body Wellness Massage 60 min. Full Body Wellness Massage 90 min. Premium Full Body Massage 60 min. Premium Full Body Massage 90 min. Superior Full Body Massage 90 min. Ayurveda Head & Face 30 min. Ayurveda Full Body 90 min. St Barth Harmony 60 min. St Barth Chill-Out 90 min. St Barth Softness 60 min. St Barth Elasticity 45 min. St Barth Sensation 60 min. Babor Full Body Peeling 45 min. Babor Full Body Package 45 min. Babor Skinovage Basic 60 min. Babor Skinovage Intense 90 min. Babor Detox Alge 90 min. Babor HRS Lifting 90 min. Babor Sea Creation 120 min. Babor Ampule Treatment 30 min. St Barth Pureness Short 30 min. St Barth Pureness 60 min. St Barth Freshness 90 min. Babor men basic 60 min. Eyebrow correction with tweezers 10 min. Mona Schulte-Zurhausen has been taking care of the hotel guests and Day-Spa guests at our Panorama Spa & Fitness with great passion since 2008. Together with her Spa team, she makes sure you feel comfortable and able to daydream and relax at our Panorama Spa & Fitness. Escape everyday life and let yourself be spoiled. Our entire Spa team is at your disposal for any questions. External guests are also always welcome at our Day Spa. You will find information regarding our equipment and offers at the following links.